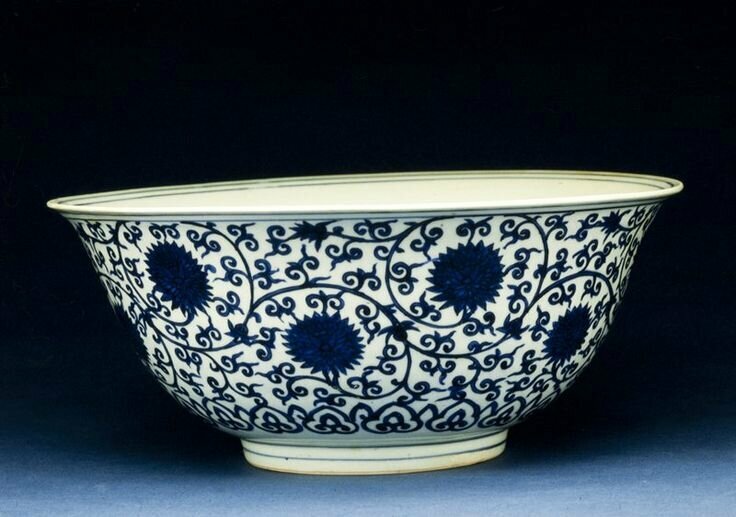 Bowl, Ming dynasty, 1522-1566. Porcelain with underglaze blue decor; 6 3/4 x 15 x 15 in. (17.15 x 38.1 x 38.1 cm).Gift of Allan L. Rhoades, 83.112.1. Minneapolis Institute of Arts © 2014 Minneapolis Institute of Arts.